Upcoming session of VP Academy in association with All Kerala Optical Association will be hosted in Kochi, on Apr 07, 2019. Have you booked your seats yet? VP Academy needs no introduction anymore, this unique initiative by VisionPlus has been a bigger success than expected. VP Academy is now a brand on its own! The upcoming edition of VP Academy will be hosted in Kochi. The topic for which will be ‘Vision Care for the High Value Customer’. On completion of the course, practitioner will be better equipped to understand and meet the needs and expectations of an important segment in vision care today ie the High Net-worth Individual (HNI). It will offer the practitioner a better understanding of how to take frame and facial measurements while dispensing luxury eyewear; factors that impact various aspects and needs of an HNI customer before recommending the lenses to address social as well as professional needs; and recommending the most suitable ophthalmic lens to this valued customer. Course Objective: To get the practitioner to understand designer wear frame materials and styles and inspiration board used behind designer. To get practitioner to understand the aspects of frame and facial measurements and dispensing techniques of designer frames. To get practitioner to understand the choice of frame design and material based on the given spectacle prescription. 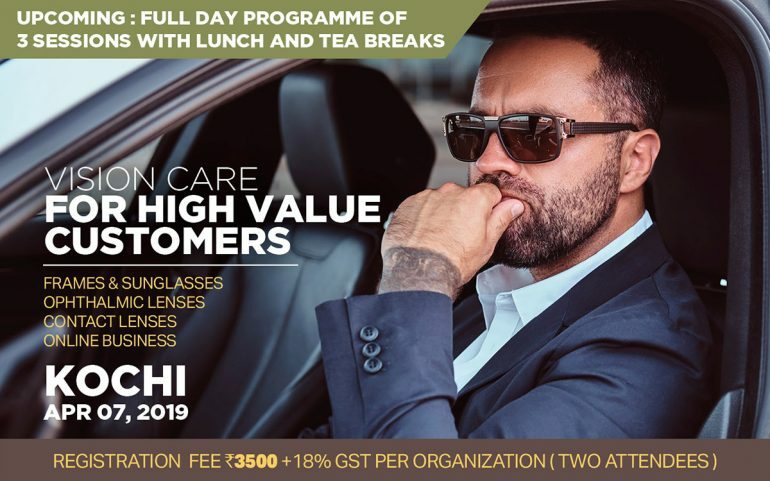 Course Objective: To get practitioner to understand the various features and benefits of various high end ophthalmic lenses in terms of designs, materials and lens enhancements. To understand the dispensing techniques in terms of measurements as well as choose the right lens option for the given prescription. Course Objective: To get practitioner to understand the features and benefits of various silicone hydrogel lenses, and key factors that impact the need for Silicone Hydrogel daily disposable lenses for HNI clients. The course would also dwell into the benefits of the material, various design options available to suit needs of different prescriptions like multifocal and toric lenses, followed by dispensing techniques in terms of preliminary evaluation and how to choose the right lens option for the given prescription.